The Repeat Software team will give you an outstanding level of support and we have satisfied customers in 31 countries. We work with reseller partners who provide IT and AV hardware into business and public sectors. 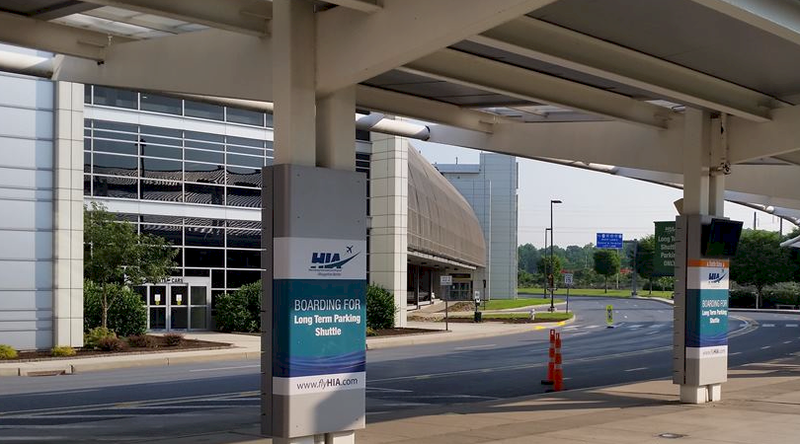 "We were able to create a presentation in minutes that looked very high quality and professional"
"Here at Harrisburg International Airport we are using the Repeat Signage software to display a service that tracks our shuttle buses. The company DoubleMap provides a live feed Via a web site portal. Unfortunately the map and information was very plain. Then we found Repeat Software Ltd. Their Repeat Signage software allows us to display the site inside of a presentation." "Repeat Signage software allows us to display the site inside of a presentation"
"Using the tools, we were able to place a banner across the top showing our passengers what this map is. We were able to add useful information like the time and date. As well as a personal scrolling message. But most importantly we were able to add text overlays to the map showing people where they are and where our long term parking is. The Repeat Signage software was easy to use and operate. We were able to create a presentation in minutes that looked very high quality and professional. With touch screen support our marketing department is looking for other ways we can use the software around our terminal. Support has been excellent and I have never been disappointed. Quick response times along with personal service, rates this company very high in my personal satisfaction. I have, and will continue to recommend this company to others". Repeat Signage has touchscreen support, even in the Standalone edition, which makes it ideal for use in interactive kiosks. The Corporate edition also allows database content to be collected and displayed, and all Repeat Signage editions include a built-in spreadsheet grid. Harrisburg International Airport - technical details: "We are running the presentation on an HP 4000pro slim. Exporting the image out of an HDMI port at a resolution of 1440x900. We then use NTI HDMI - RJ45 converters to push the image to an outdoor monitor over 500 feet away and 1 floor away. 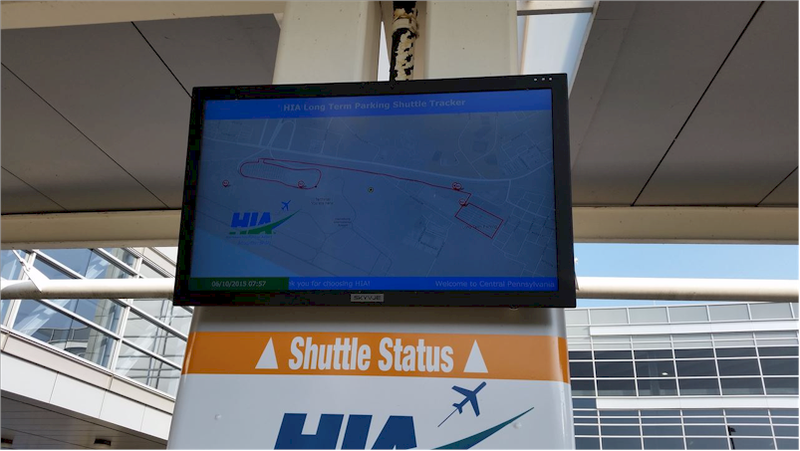 The monitor is located at our curb shuttle bus loading and unloading zone".